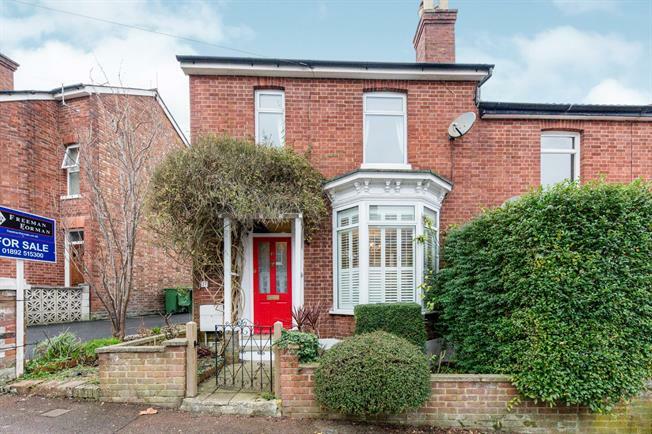 2 Bedroom End of Terrace House For Sale in Tunbridge Wells for Guide Price £315,000. Freeman Forman are delighted to present this charming two bedroom end of terrace house, located close to the High Brooms Mainline Railway Station, St Johns Primary School, Hilbert & Grosvenor Park and The Town Centre. The property has been beautifully updated by the current owners so that it maximises all the floor space available. The accommodation includes an entrance hall, cloakroom, sitting/dining room with fireplace, and a kitchen with breakfast bar. Stairs rise from the entrance hall to the first floor landing where an impressive master bedroom can be found with built in storage. There is also a small single bedroom and beautifully re fitted bathroom which is accessed by both bedrooms. Outside the property enjoys a private rear garden and a useful outbuilding.